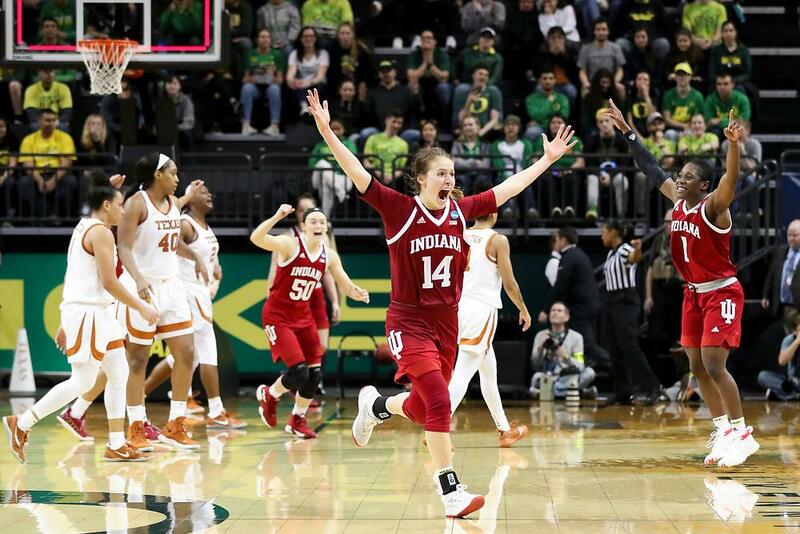 Hoosier players celebrate their upset win over Texas as the final buzzer sounds. Craig Bisacre, IU Athletics photo. The NCAA Tournament kicked off Friday with plenty of heart-stopping games – some of which ended in upsets. Two No. 10 seeds in Buffalo and Indiana toppled seventh-seeded Rutgers and Texas, respectively. 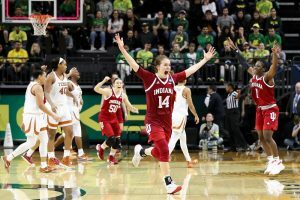 The Bulls ran away from the Scarlet Knights, 82-71 in the Albany regional bracket, and the Hoosiers outlasted the Longhorns, 69-65 on the Portland regional side. Also in that region, No. 9 seed Clemson handled eight-seeded South Dakota, 79-66. Two overtime games almost resulted in upsets. In the Chicago regional bracket, Marquette held off Rice, 58-54. In first-round Greensboro regional action, Missouri edged Drake on a free throw, 77-76. No. 2 Iowa was challenged by No. 15 Mercer, 66-61, while No. 5 Florida State slipped past No. 12 Bucknell, 70-67. Fourth-seeded Miami survived a challenge from 13-seed FGCU, 69-61. 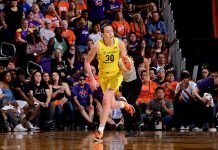 Also advancing to the second round were top seeds Mississippi State and Louisville, Oregon, Connecticut, South Carolina, Texas A&M, Arizona State and Michigan. The first round wraps up today, with 16 more games on tap.